Instructions: Click on the plus sign on the right of each question to see the answer. What is the November 4, 2014 Constitutional Convention Referendum Question? A constitutional convention is a one-time gathering of elected delegates who can propose amendments to Rhode Island Constitution. Rhode Island’s Constitution requires that every ten years Rhode Islanders be asked whether they would like to hold a constitutional convention. Rhode Island is one of fourteen states with such a periodic referendum. When did Rhode Island last convene a constitutional convention? 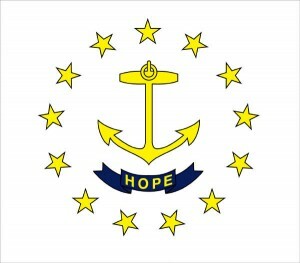 Rhode Island’s last constitutional convention took place in 1985-1986. American states have held more than 230 state constitutional conventions since 1776. In contrast, the Federal government has only held one constitutional convention–in 1787. What is the democratic function of a state constitutional convention? From the Revolutionary Era through the mid-19th century, the state constitutional convention was the primary method of constitutional change in American states. Gradually, this was replaced by a system that bypassed a constitutional convention and gave the legislature complete control over the change agenda. The primary remaining democratic function of the state constitutional convention is to propose democratic reforms where the legislature has a blatant conflict of interest with the public. The state constitutional convention also remains well suited for proposing major constitutional revisions, even if those revisions are only organizational and stylistic. But as state democracies have matured, the need for general revision has become less important. What happens if the voters approve a constitutional convention on November 4, 2014? In 2015, there will be a special election to choose 75 delegates, one for each Rhode Island House district. The delegates will meet in the State House to debate democratic reforms. Those they endorse by majority vote will appear as a referendum question on the statewide ballot. At the next general election, voters will have a chance to approve or reject each of the constitutional convention’s various proposed constitutional amendments. How does the people's role differ in the constitutional convention and legislative processes? The constitutional convention process creates constitutional (organic) law, which must be approved by the sovereign (the people). In contrast, the legislative process creates statutory law, which may be approved by the sovereign’s government agents (the legislature). With the constitutional convention process, the sovereign is automatically granted three votes before there is a change in law: 1) to choose whether to convene a constitutional convention, 2) to choose representatives to a constitutional convention, and 3) to choose whether to approve the constitutional convention’s proposed reforms. In contrast, the legislative process may only grant the sovereign one vote before there is a change in law: to choose representatives to the legislative and executive branches of government. These representatives have the power to not only propose but approve changes in law. How does the transparency of the constitutional convention and legislative process differ? The legislative process often allows unpopular issues to be inserted in proposed laws at the last minute and passed into law without the scrutiny of fellow lawmakers, the press, and the public. With a constitutional convention, proposed laws are published months before they can be passed into law. The legislative agenda is huge, usually including thousands of proposed laws on widely varying subjects, of which legislators rarely read and understand more than small fraction. With a constitutional convention, the agenda is relatively narrow and delegates usually read and try to understand all the proposed laws. With the legislative process, few proposed laws are extensively debated in public, debated with diverse points of view, and debated on the public record in a modern, accessible format (e.g., webcast). With a constitutional convention, it is expected that the great majority of proposals are extensively debated in public and in a modern, accessible format. This debate occurs before the delegates vote on the proposals. Then the public is expected to repeat the process before it decides whether to ratify the convention’s proposals. As the Speaker of the U.S. House of Representatives said about the Affordable Care Act, one of the longest (more than 1,000 pages) and most important pieces of legislation of the last decade, “We have to pass the bill so you can find out what is in it.” This could never happen with the proposals of a state constitutional convention. The public would have months to review a final proposal before being asked to enact it into law. Are constitutional conventions likely to do more harm than legislatures? Changing state organic law can potentially do more harm than changing state statutory law, largely because such changes are harder to reverse. That is one reason that the constitutional convention process has so many additional safeguards built into it, including requirements for much greater deliberation and transparency. Those additional safeguards are a primary reason that powerful special interests,which prefer to operate swiftly and in the dark, have come to strongly oppose constitutional conventions. In any case, the Federal Constitution, including its Bill of Rights, always trumps state constitutions. Are constitutional conventions likely to violate the interests of minorities? Constitutional conventions in Rhode Island and in the great majority of U.S. states are a type of majoritarian institution. That is, they don’t give minorities a veto power on their proposals. But the vast majority of Americans support strong civil and political rights for minorities, such as those incorporated in the Federal Constitution’s Bill of Rights and those already incorporated in Rhode Island’s Constitution. The real issue is usually whether past or present majorities should be given control over the scope of civil and political rights. If you think that past generations were smarter and more moral than we are, then you might prefer giving past majorities such control. State constitutions don’t protect minorities; they protect the status quo. That is, they protect current minorities that were formerly majorities. It is hard to justify on democratic grounds why some minorities but not others should be privileged merely because they once had a majority. In contrast to most U.S. states, the Federal Constitution requires a supermajority of states for constitutional change. But within each state, the vote is a simple majority. Given the vast difference in population of U.S. states (e.g., compare the population of California vs. Wyoming), it’s actually possible that a minority of the people (acting directly or via their representatives) can pass constitutional amendments even though a supermajority of states is required for passage. The Federal Constitution thus tends to protect only one type of minority: citizens from small states whose votes on constitutional change may be worth more than fifty times as much as a citizen from a large state. Can the public be trusted to do what is in its own interest? This is arguably the most important issue for you to answer in deciding whether to support the constitutional convention process. For thousands of years, the vast majority of opinion leaders argued that the general public was incapable of exercising power in its own interest. These leaders included kings and those who depended on the king’s favor. And since there were few if any contemporary democracies to point to, especially large scale democracies, the debate was largely theoretical. The current debate over state constitutional conventions is often conducted in a similar factual vacuum, only the distrust of the public is no longer openly acknowledged, instead being expressed indirectly, often in code words. The most common way opponents of constitutional conventions do this is by speaking as if the public doesn’t have the right to reject any and all constitutional convention proposals. Instead, they imply that a constitutional convention has the power to not only propose constitutional amendments but to ratify them. Since the public is generally clueless about how a constitutional convention works (e.g., assuming it has similar powers to a legislature), this can be a very effective strategy. You may want to consult the history of Rhode Island’s earlier constitutional conventions to come to your own judgment. You may find that rather than being wild yahoos, the general public tends to be highly conservative about any major proposed constitutional changes. How much would a constitutional convention cost? The cost of Rhode Island’s last state constitutional convention in 1984-6 was $891,000. In 2014 inflation adjusted dollars, that comes to $1,920,960. Rhode Island’s FY2014 budget was $8,379,400,000. In other words, every day Rhode Island’s State government spends $22,957,260 and every hour $956,552, which suggests that a state constitutional convention would cost about 2 hours of Rhode Island’s annual budget. If local government expenditures were added into the mix (state constitutions create a framework for both state and local government), the cost would be about an hour. If the recommendations of a state constitutional convention increased the efficiency of state government spending by only 1% over a year, the return on investment for Rhode Island citizens would be 436:1. If the 1% savings are projected out thirty years (it is thirty years since Rhode Island’s last constitutional convention and there could be a similar delay in the future), the return on investment for Rhode Island citizens would be 13,806:1 (436/year X 30 years). If local government budgets were added into the mix, the number would be proportionately larger. Of course, those that believe that a constitutional convention would likely weaken the efficiency and effectiveness of state and local government, would derive a very different estimate of the returns from this type of investment in strengthening democratic institutions. It may be noteworthy that a 2014 study in Public Administration Review found that “if the 10 most corrupt states had been at the average level of corruption, they could have reduced their annual expenditures by $1,308 per capita, or 5.2% of the mean per-capita expenditure.” The study placed Rhode Island, ranked #24, in the middle of five corruption tiers.